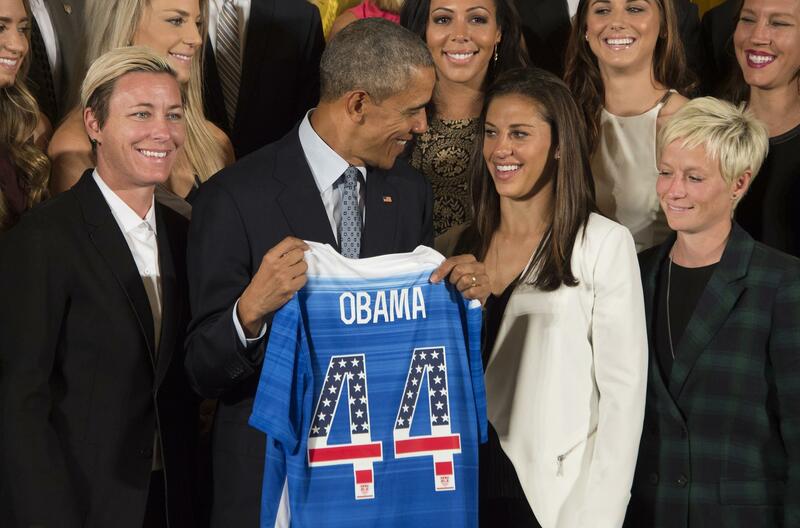 President Barack Obama tells U.S. women's national soccer team that "'playing like a girl' means you're a badass." In celebration of the U.S. women’s national soccer team being honored at the White House Tuesday, President Barack Obama chose a very candid set of words to say to the team. Within the president’s 11-minute speech about the team’s accomplishments, he went on to say, “This team taught all of America’s children that ‘playing like a girl’ means you’re a badass,” NPR reported. He then turned his attention to an individual team member, Carli Floyd, who scored a hat trick in the World Cup final. He concluded his speech with praising the team for challenging sexist stereotypes about women in sports. “They’ve inspired millions of girls to dream bigger, and by the way, inspired millions of boys to look at girls differently, which is just as important,” Obama said.